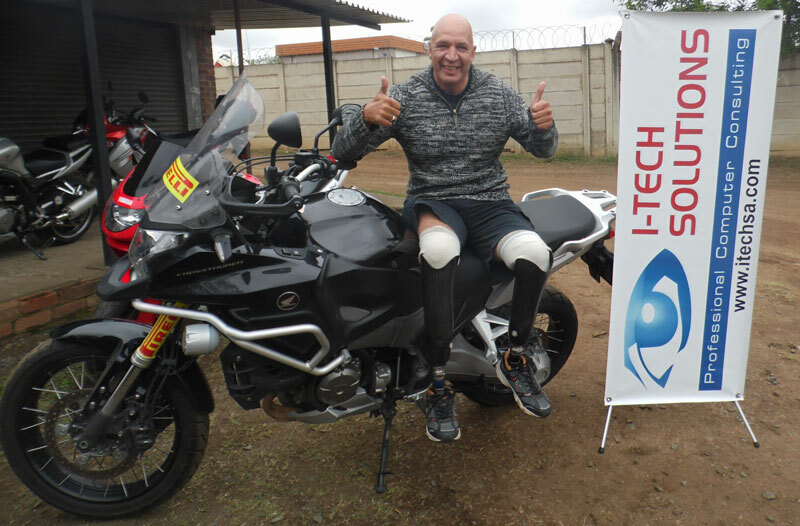 Double-amputee Bushy, 52, is now the holder of the world record for the greatest distance on a motorbike in 24 hours by an individual. He set the record at the Phakisa oval in Welkom on Wednesday the 8th of October 2014, unseating an American who set the previous record in 2011. 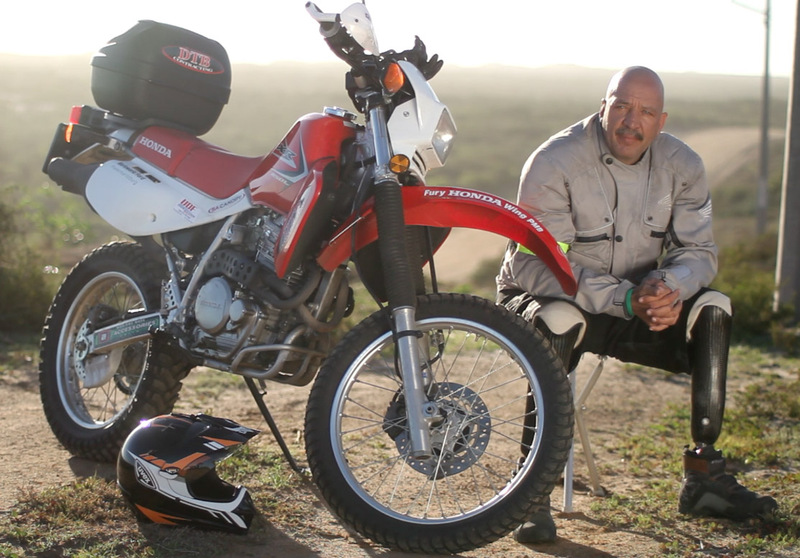 Bushy is a bike enthusiast and all-round adventurer who also has rides around sub-Saharan Africa under his belt and holds another distance world record, having ridden a scooter over 1 400km in 24 hours. Speaking to The Witness (Pietermaritzburg Newspaper), he said he was thrilled with the ride. “It is one thing I can now tick off my bucket list. This was actually my third attempt,” he said.The first two attempts were hampered by a big fall and bad weather. The successful attempt began at midnight on Tuesday and finished the following night. Averaging a blistering 200km/h over the 2.5km, Bushy blitzed the record by 7.5 km. Making just seconds-long racing-style pit stops, he used 17 tyres and burnt through R5 700 worth of fuel in those 24 hours. Bushy, who lost his legs in separate bike accidents, said the hardest part of setting the record was maintaining his concentration. “You have to have some level of fitness, but the biggest part is concentration … Concentration is key,” he said. It was a highly emotional moment when he realised he had achieved his objective, he added.The only after-effects the motorcycle riding instructor suffered were minor blisters on his hands and a sore backside. 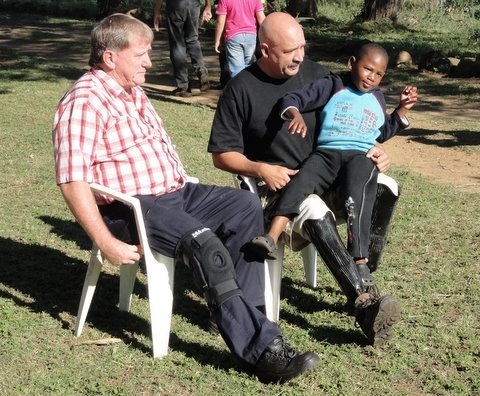 Bushy, who said he is passionate about helping the disabled, founded the Out on a Limb organisation which is dedicated to helping people with physical challenges. He said the new world record was dedicated to helping people with multiple sclerosis. Listen to Bushy’s radio interview on Saturday the 11th of October with RSG a local Afrikaans radio station . 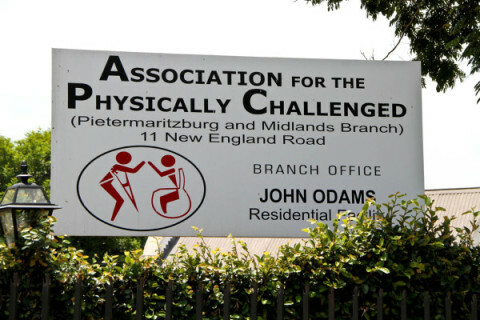 Association for the Physically Challenged.